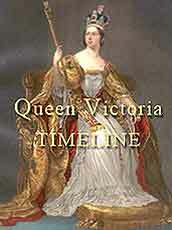 Victoria was the Queen of Great Britain and Ireland from 1837 to 1901 and Empress of India from 1876 to 1901. Queen Victoria is associated with an extensive period of British industrial expansion, economic progress and artistic success; this period is known as the Victorian Era. In her later years, Queen Victoria became a symbol of the British Empire and celebrated two momentous anniversaries, the Golden Jubilee (1887) and the Diamond Jubilee (1897). Both milestones were marked with great public ceremonies. 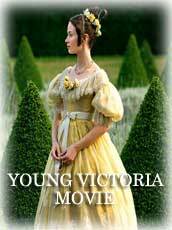 Victoria died on January 22, 1901 after a reign which lasted almost 64 years, the longest in British history. 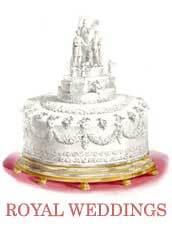 Collecting Victorian royal memorabilia has been an enthusiastic pursuit of collectors for over a hundred years. The sheer length of Queen Victoria's reign means that there is an eclectic range of commemorative items sought for by collectors, especially those marking her marriage and two jubilees. Due to her overwhelming popularity as a monarch, her subjects found abundant approaches to commemorate her, and of course, to make money. These collectibles include plates, cups and saucers, teapots, medals and coins, handkerchiefs and textiles, as well as prints and photographs. 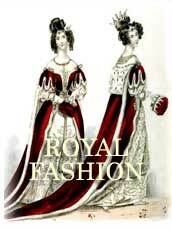 Unusual and difficult to find royal souvenirs of this remarkable British monarch are clothing items. At Queen Victoria's death in 1901, there was a distribution of her huge wardrobe, including her underwear, to members of the Royal Household. These personal garments are now dispersed in both private and public collections. The Queen's royal undergarments, supplied by the Pryce Jones company, are easily identified by her royal cypher, which was always worked on each piece. Shown are stockings, petticoat and a nightdress available from Meg Andrews, British dealer of antique costumes and textiles. Staniland, Kay. In Royal Fashion. The Clothes of Princess Charlotte of Wales and Queen Victoria 1796-1910. Museum of London. 1997. p.171. HEMLINE EMBROIDERED WITH ROWS OF THISTLES (SCOTLAND), SHAMROCK (IRELAND), ROSES (ENGLAND), THEN A ROW OF CROWNS WITH "VR" MONOGRAM. Shown is one of Queen Victoria's nightgowns from the late 1800s. It is of fine white linen, all hand-stitched with a machine lace frill at the neckline. 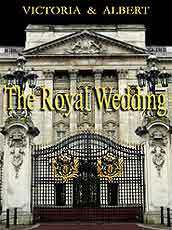 It has the royal crown and Queen Victoria's Imperial Cypher, "VR" (Victoria Regina), on the front of the garment. Below the monogram is the number 36. The numbering system inserted below the cypher is not understood today but it is thought that the Queen's garments were ordered in quantities and then worn in rotation. Similar garments are shown in In Royal Fashion. The Clothes of Princess Charlotte of Wales and Queen Victoria 1796-1910, page 166. This is an early pair of pale pink silk stockings from the 1840s belonging to Queen Victoria. They have embroidered clocks in the shape of an arrowhead, as well as the tops are woven with an openwork royal crown and Queen Victoria's Imperial cypher, "VR" (Victoria Regina). As with the nightdress, there is a number 7 below the VR. These stockings came from Balmoral, Queen Victoria's Scottish estate. Another pair of pink stockings made for Queen Victoria are featured on page 42 of Socks and Stockings, by Jeremy Farrell (Batsford 1992). Photographs of Queen Victoria's garments courtesy of Meg Andrews, British dealer of antique costumes and textiles for 22 years. Prior to this, she established the Costume and Textile Department at Sotheby's in London. For 18 years Meg Andrews lectured at Sotheby's Institute on English Furnishings of the 16th and 17th centuries, Chinese Court Costumes and Kashmir and Shawls of Paisley Design. In 1986 she lectured at the "Treasure Houses of Britain" exhibition in Washington, DC on the textiles and costumes in the portraits. Visit the Meg Andrews web site specializing in English Costume and accessories from the 18th and 19th centuries; Shawls from the late 18th c - 1860 including shawls of Paisley design; English samplers and silkwork pictures; document and decorative fabrics, both woven and printed; English Arts and Crafts embroidered, woven and printed textiles; Chinese court costumes and accessories; and European textiles. Soon to be listed: McLintock's down filled petticoat; Dr Jaeger wool petticoat; young girl's early 19th c. stays; crinoline frame. A pair of Queen Victoria's linen drawers or bloomers, with a waist measurement of about 56.